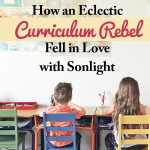 I read this article and wanted to share it with you: How an Eclectic Curriculum Rebel Fell in Love with Sonlight https://blog.sonlight.com/eclectic-curriculum-sonlight.html. You might be surprised to know this, but I’m a bit of a rebel. Oh yes! Most of the time, it doesn’t bother me one bit to go against the grain. That’s probably why I’m a homeschooler and why many of you are too. We don’t mind swimming upstream; in fact, we may take a bit of pride in it. However, being a rebel can make choosing a curriculum tough. I still remember my first year of homeschooling. I was idealistic and probably too optimistic, and I decided that I would piece together my entire school year from a hodgepodge of resources. I almost didn’t survive the year. I worked so hard and ended up, sadly, with little to show for it. My son had not received the knowledge that I had hoped for. So the next year, being older and wiser, I decided that I needed a planned curriculum. I searched high and low and quickly settled on Sonlight. 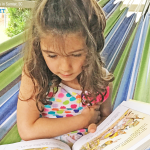 I knew that as a child, I would have loved a Sonlight education, and I felt sure that it would be a good fit for my children. But visions of my years as a public school teacher swimming through frameworks plagued me. There was one thing I knew I just couldn’t quite handle—the feeling of being bound by a curriculum. In my mind, a constrictive curriculum felt like wearing skinny jeans that are a size too small. I wanted the opposite of my do-it-all-myself first year, but I still wanted to put my personal mark on my kids’ education. I had crafted our masterpiece year. That first year with Sonlight was quite possibly my favorite year yet. Maybe it was just because I was so ready for some help. Or maybe it was that the literature and flow of the curriculum had such an soothing feel. 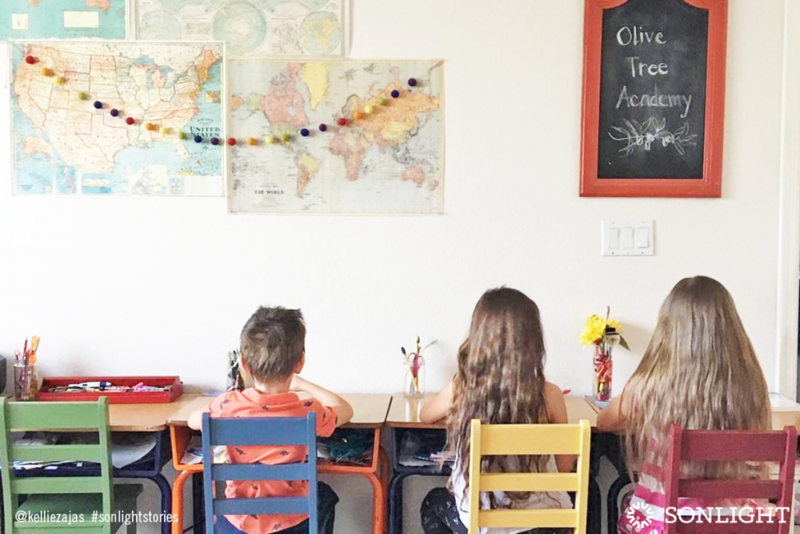 It could have been that I didn’t have to give up my individuality as a homeschooling mom. But for whatever reason, that year was smooth sailing. We finished the year, feeling great about what we had accomplished together. Since then, I have marked up multiple Instructor’s Guides. Some years, I lean more towards being a Sonlight purist. Some years, my eclectic style really shines. It all depends on the season of life we find ourselves in. So if I had that first year to do all over again, here’s what I would say today to my younger self—that idealistic, optimistic, rebellious, DIYer. You are not going to find the perfect curriculum. It doesn’t exist. There will be some part of any program that doesn’t quite fit your style. But like my mom always said, “Don’t throw the baby out with the bathwater.” Don’t disregard an entire curriculum on account of one or two areas of incompatibility. Even eclectic homeschoolers need a foundation. Like I mentioned earlier, my first year was a nightmare trying to piece together an entire curriculum for my first grader. We skipped things we shouldn’t have skipped, and we jumped from here to there when my son really needed a more logical order. Building a curriculum takes weeks and months of hard work. Let someone else do that for you! Let them build a foundation that you can tailor to fit your child’s needs. Once you have your foundation curriculum, be a rebel. Take your pencil, and write in whatever you can’t live without. Scratch out anything that you just can’t see yourself doing. In years past, I have even put post-it notes over sections in the schedule that we needed to skip for one reason or another. Look at each schedule page as a recipe. Make every page your own. Add a little of this, a little of that, and boom! You’ve got an eclectic education with a strong foundation. 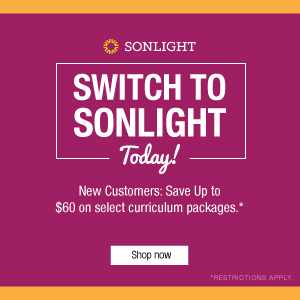 One of the great things about Sonlight is that you have choices. 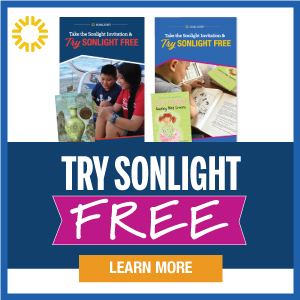 Every year, I get so much joy from going through the ordering process with Sonlight. You can choose to build your own curriculum, and there is definitely something empowering about being in control of what you do or do not purchase. If you prefer a different Science program, great! Order a level package without the Science. If you like a different approach to Language Arts, go for it! The Sonlight experience allows for customizations. It’s a rebel homeschooler’s dream. When you find a curriculum that works for you, stick with it. 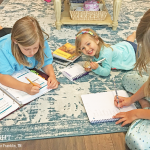 One of the biggest mistakes a homeschooling mom can make is curriculum hopping. Believe me, I know! When you jump around, trying out many different curricula, you will have gaps in learning that require backtracking to bridge. 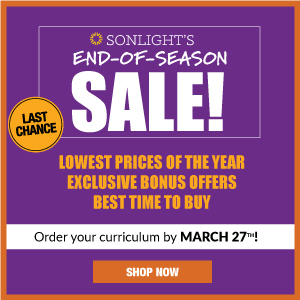 Sonlight is expertly planned, so give your child a seamless education by sticking with the curriculum that’s working. 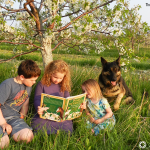 If you’re a homeschooler, chances are that you’re already a bit of a rebel. So don’t feel burdened by your Instructor’s Guide. It was never meant to be a straightjacket. Rather, view it as your diving board. Feel free to use it in a way that best suits your family. 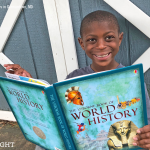 I am thankful that over the years, Sonlight has allowed me to express my rebel tendencies while giving my children a great foundation of learning. 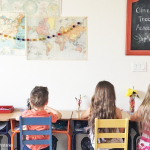 Ready to customize a curriculum that will allow you to express your rebel tendencies? Go to SmoothCourse and get started today. 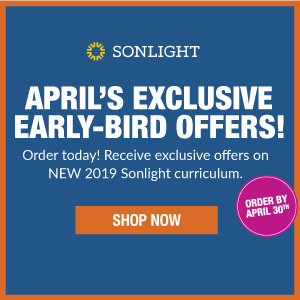 Is Sonlight a Charlotte Mason Homeschool or Classical Education?